Consultancy of the year recognition for a further 18 PR firms across the region at the 2018 EMEA SABRE Awards in Amsterdam last night. 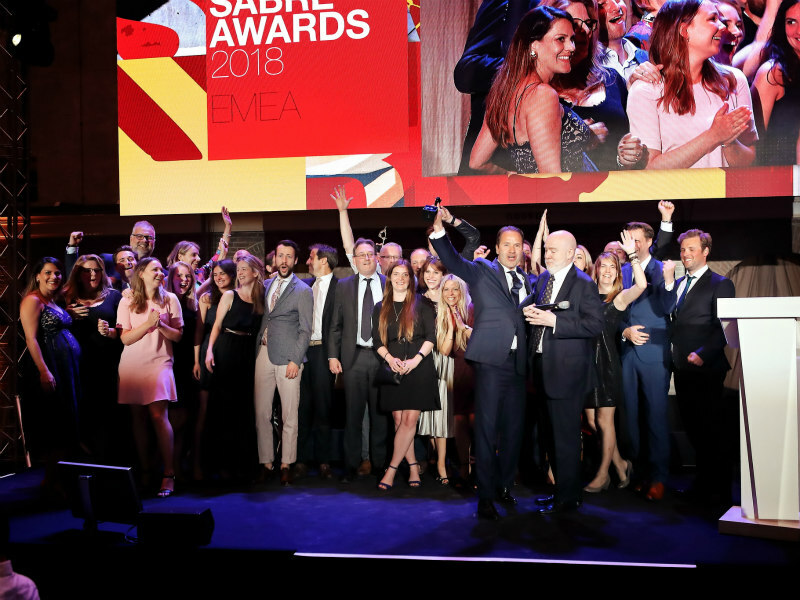 LONDON—H+K Strategies was named Pan-EMEA Consultancy of the Year at last night’s SABRE Awards gala in London, in recognition of consistently strong performance across the network's 40 markets. H+K Strategies beat out APCO, Edelman, FleishmanHillard and Weber Shandwick to be named the leading consultancy in the region for the second time in three years, capping a remarkable turnaround for the WPP firm, underpinned by strong performance in the UK, Middle East, Nordics and Germany. In addition to high single-digit growth in EMEA and improving margins — tripled over the past three years — H+K's increasingly 21st century business mix (from high-end consulting work to strong digital and creative) helped the agency prevail over its rivals in 2018. In other highlights, Cohn & Wolfe won both UK and Healthcare Consultancy of the Year and Healthcare Consultancy of the Year.